Information emerges in Italy about summer filming schedule. This weekend saw members of the Bond 25 production team in Italy to inspect film locations, according to a local media report. Much of the article appears to be rehashed information from the UK tabloids, so handle with caution, but we previously reported Bond 25 was likely to shoot in Italy here and here. The report says the team visited Marina di Pisticci on Saturday and were due in Matera yesterday. Matera is one of two cities designated European Capital of Culture 2019. 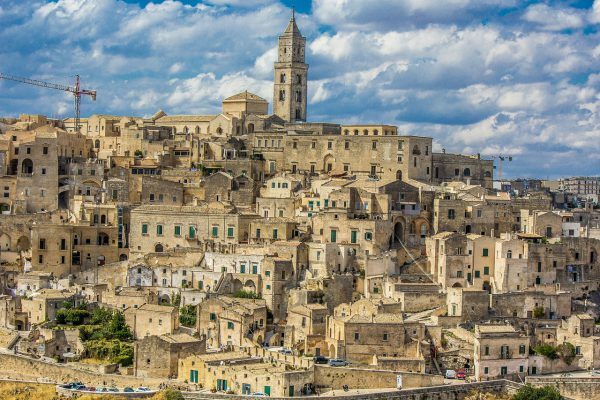 Production will reportedly arrive in the districts of Sassi de Matera on 12th August, with filming taking place between 17th August and 23rd September. With representatives of the Jamaican government visiting Pinewood last week and this, it seems likely the hotly anticipated Bond 25 press launch is on hold until the locations are finalised.